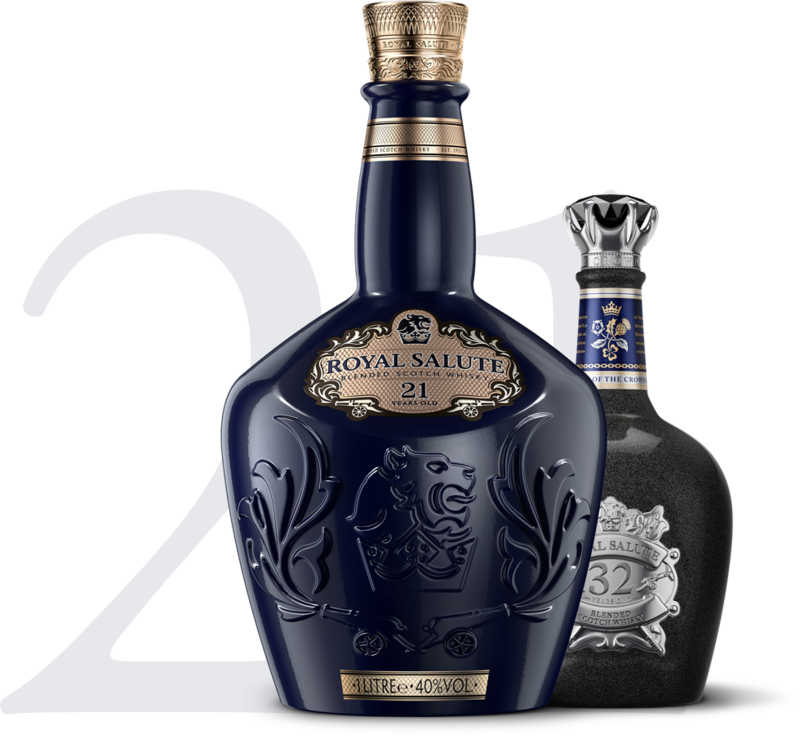 Bringing Royal Salute to a global audience. 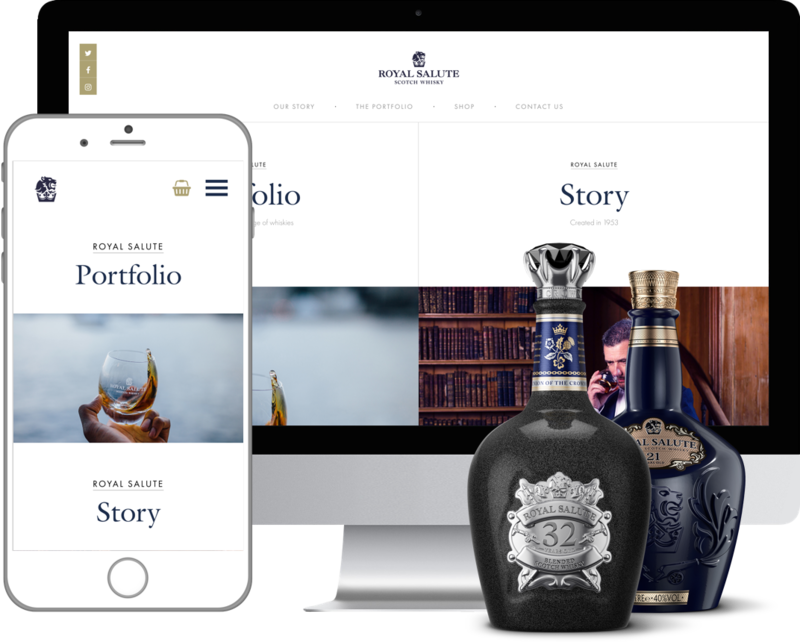 Design a website to strengthen brand awareness across multiple global audiences and allow privileged guests to buy one of the brand’s luxurious bottles. The finer details are integral when you’re creating something that’s fit for a Queen. 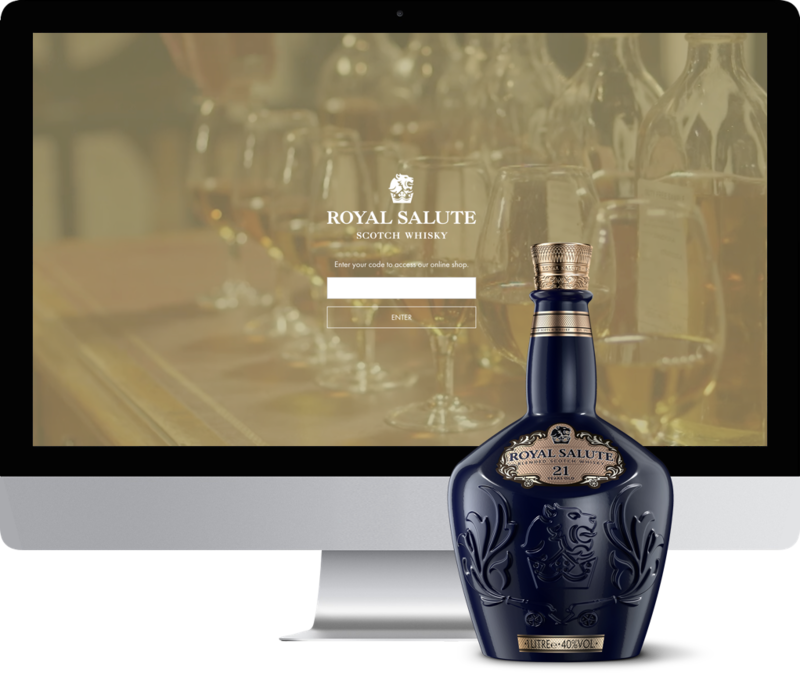 We worked closely with Royal Salute to create a website that felt truly prestigious. 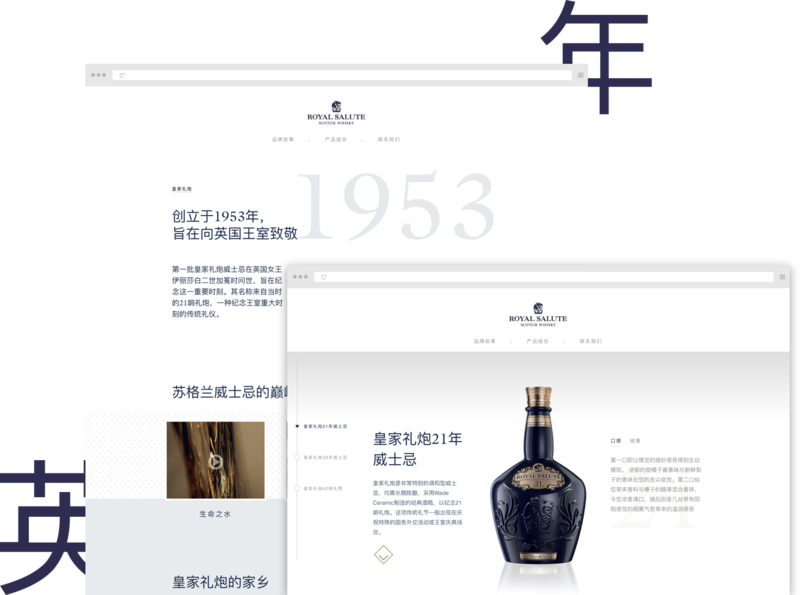 IP detection allows for different versions and translations of the website to be viewed by multiple audiences, including Asia where the brand’s popularity has grown significantly. Royal Salute prioritise getting to know their customers, so they asked us to add a form to capture guest details, which we then integrated with their Salesforce CRM. 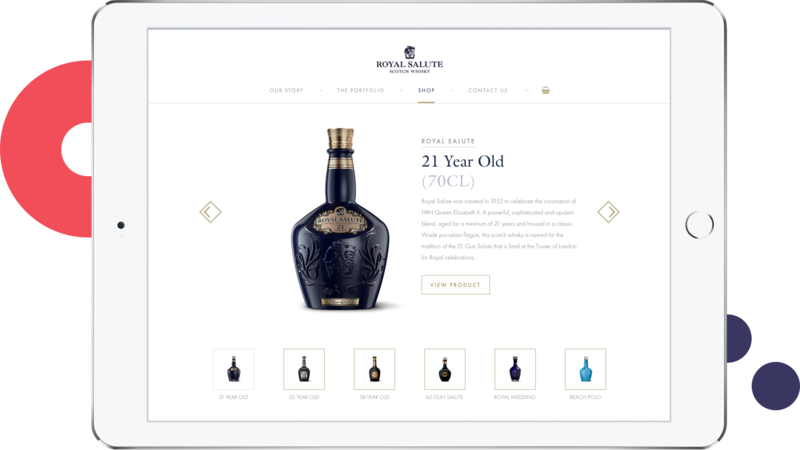 Instead of purchasing via a third party merchant, customers can buy a selection of bottles directly via the website, meaning the brand has complete control of the customer’s purchasing experience. A promo code function was built so selected customers could purchase limited edition products via the website. “As a luxury brand, we have exceptionally high standards and every detail matters. We had to work with an agency that understood this. Rubber Cheese exceeded all our expectations. They pushed for excellence and created a website that reflects our brand perfectly. With their creative and technical abilities, they helped us transform the way we do business online. For the very first time, we can sell directly to our VVIP customers, which is really exciting. Plus, their communication is outstanding and requests are always dealt with quickly.